Here enclosed I’m sending you a picture of the work he realized for me two years ago. 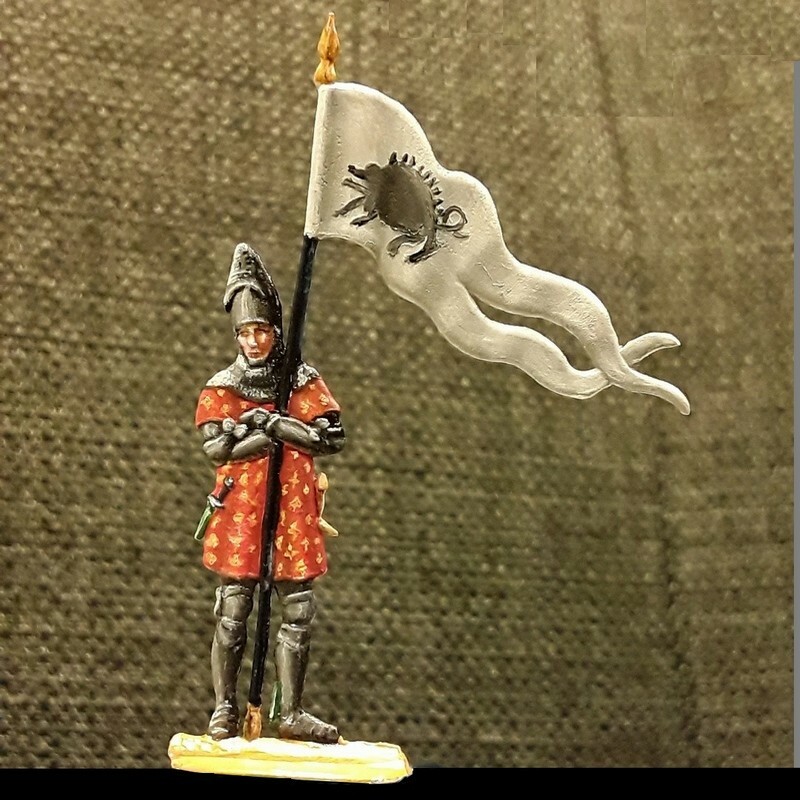 This will also complete the Knights developed by Western Miniatures and a bit lost . I am working on the serie for 2019-2020 (I needed to become a better painter first ...). Looking at the other subjects (Indians, Waterloo, Napoleon soldiers, ... I saw these flats on sales on the market since several years, and I wold not be surprised that this guy has painted his subject after the creation of several flats issued previousely, Maio Venturi. Nice work, very colorfull and will be used as excellent guidance fo painting the flats. We have just to add some three dimensional and volume effect lke rondes-bosses to give our touch !! I am discovering too, first time, and very surprised !!! I have sent an email to them to order one set of Agincourt ! Interesting, I have never seen these. Quite a few of them match figures Mario Venturi and team have done in the past. There is also one that matches an old Pegaso set of probably 10 years ago. Nicely done and great painting guides. I apologize if this is a repeat. On the web site Goriniart.com a web site of paper soldiers. the sheets on Azincourt offer colored drawings of the same group of French commanders as Mario Venturi used for his grouping. Any word on the English commanders shown by Gorini? Super start ! Contrasts excellents, light, expression !!! Nice work - I like it!! Hi Michael I will also need your address to return my figures. I sent you an email& recipient of pack in Belgium is informed. Same for Glen. may I have this address so I can send back my pair also ?